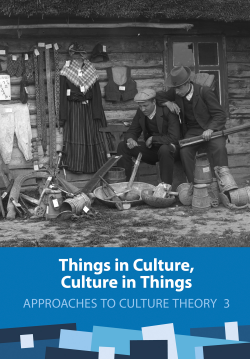 Approaches to Culture Theory is a book series that focuses on various aspects of analysis, modelling, and theoretical understanding of culture. Culture theory is seen to include and combine the approaches of different sciences – the motivation in initiating this book series was to provide a forum for discussion on contemporary trends. Culture theory has a great role to play, not only as a set of complementary theories in the humanities and social sciences, but also as a self-description of culture that forms a factor in the dynamics of culture and science. The series thus also aims to enhance methodological and theoretical standards in cultural research. We strive towards significant improvement in both the self-understanding of disciplinary fields and in the comprehension of general theoretical models by juxtaposing and comparing data, theories, and the methods of research in an interdisciplinary environment through crossdisciplinary cooperation. The series was launched in 2011 by the Centre of Excellence in Cultural Theory (CECT; European Regional Development Fund). CECT research groups cooperate to find new, and combine established, approaches and themes in order to advance theoretical analysis of culture. The core group of CECT includes archaeology, human geography, ethnology, communication and contemporary culture, folklore, religion studies, and semiotics. The series is focused on publishing thematic collections of articles from all branches in humanities or social sciences studying culture. Editorial board: Marek Tamm (Tallinn University), Peeter Torop (University of Tartu), Eileen Barker (London School of Economics), Regina Bendix (Georg-August-Universität Göttingen), Tom Moring (University of Helsinki), Anu-Mai Kõll (Södertörns högskola, CBEES), Roland Posner (Technische Universität Berlin). Vol. 1. Tiina Peil (ed.). 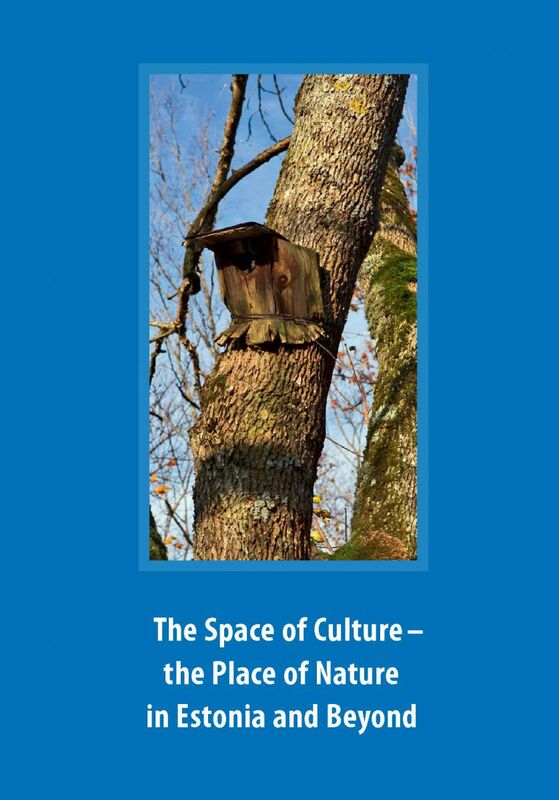 The Space of Culture – the Place of Nature in Estonia and Beyond. 2011. 191 p. ISBN 978-9949-19-623-4. Vol. 2. Halliki Harro-Loit and Katrin Kello (eds.). The Curving Mirror of Time. 2013. 191 p. ISBN 978-9949-32-258-9 (print), 978-9949-32-259-6 (online). This volume of articles reflects on journalism’s impact on collective memory in Estonia during the 20th century and in the onset of the 21st century. 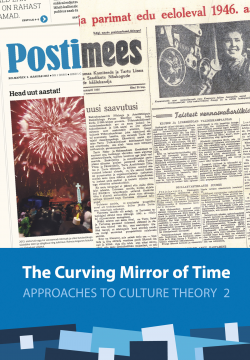 It focuses more broadly on the issues of time and temporality by problematizing the construction and actualization of chronotypes in news media, the transformations of the 20th century events in anniversary journalism as well as idiosyncracies of dealing with the past in minority media. Vol. 3. Anu Kannike, Patrick Laviolette (eds.). Things in Culture, Culture in Things. 2013. 310 p. ISBN 978-9949-32-394-4 (print), 978-9949-32-395-1 (online). Vol. 4. Valter Lang, Kalevi Kull (eds.). 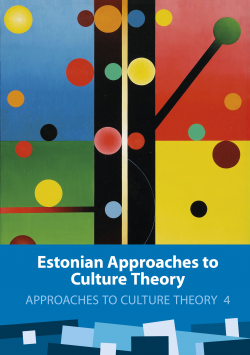 Estonian Approaches to Culture Theory. 2014. 335 p. ISBN 978-9949-32-613-6 (print), 978-9949-32-614-3 (online). Contributors include Aili Aarelaid-Tart, Martin Ehala, Halliki Harro-Loit, Tiiu Jaago, Anne Kull, Kalevi Kull, Kristin Kuutma, Valter Lang, Art Leete, Kati Lindström, Mihhail Lotman, Hannes Palang, Rein Raud, Raul Tiganik, Peeter Torop, Ülo Valk, and Tõnu Viik. Vol. 5. Raili Nugin, Anu Kannike, Maaris Raudsepp (eds.). 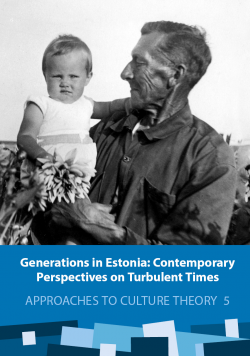 Generations in Estonia: Contemporary Perspectives on Turbulent Times. 2016. 350 p. ISBN 978-9949-77-055-7 (print), 978-9949-77-056-4 (online). This volume provides a compelling insight into 20th century generational identities in Estonia. Located on the borderline between East and West, Estonia offers a particularly concentrated example of multidirectional changes. It is the first collection of studies for the international reader that offers a wide-ranging analysis of generations in Estonia, including intergenerational relations, generational dynamics, socialisation and habitus, the perception of generational identity, and generations as carriers of memory. The chapters present original approaches to generational theory and are intended for a broad spectrum of researchers, students and the general public interested in social and cultural studies. Vol. 6. Anu Kannike, Monika Tasa (eds.). The Dynamics of Cultural Borders. 2016. 260 p. ISBN 978-9949-77-082-3 (print), 978-9949-77-083-0 (online). 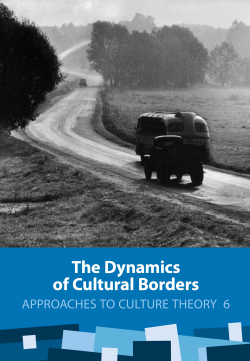 This volume encompasses a broad span of issues related to borders as areas of intense activity substantially contributing to the dynamics of culture. The chapters address questions relating to the construction and reconstruction of borders, as well as the experience and representation of physical, spiritual, imagined and symbolic borders. The authors provide perspectives on emerging and dissolving borders in the past and present. Special emphasis is placed on subjective perception by asking how borders are experienced and expressed at the level of the specific community or individual. Several articles tackle dramatic and controversial issues like war, conflict between different ideologies and cultures, and remembering. The authors also explore dialectical relations between culture, social relations and landscape, and the interplay of ideological constructions and material culture. The contributions are arranged into two sections focusing on two wider issues: how borders are drawn in landscape, religion and scientific discourse (Wandering borders), and how representations of cultural borders and border crossings have changed over time (Bordering ruptures: the dynamics of self-description). The authors of this volume come from various scholarly fields and offer innovative tools for expanding the concept of the border across disciplinary frames. Vol. 7. Anu Kannike, Monika Tasa, Ergo-Hart Västrik (eds.). 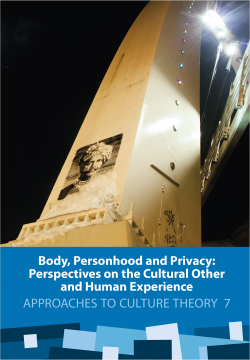 Body, Personhood and Privacy: Perspectives on the Cultural Other and Human Experience. 2017. 344 p. ISBN 978-9949-77-459-3 (print), 978-9949-77-460-9 (online). This volume studies how the concepts of body, personhood and privacy can be expanded across disciplinary borders. Notwithstanding the diversity of empirical material and theoretical frameworks, the chapters suggest innovative tools for common key issues: dialogue with the cultural Other, the appropriation of space, and personality. Human embodiment and ethical aspects of representing and regulating cultural practices are a major focus through much of the volume. The book is illustrated with some of the finest examples of Tartu street art.